It's time for another sketch challenge on the MFT Challenge Blog. I got a little wild for this week's challenge. 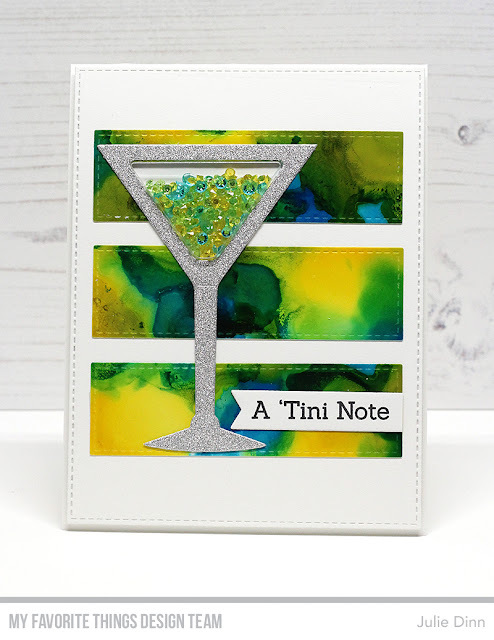 The martini shaker is filled with some gorgeous blue, green, and yellow gems. The background was created with Aquamarine, Pool, Dandelion, and Citrus Alcohol Ink. The background is just gorgeous! Fabulous card! !